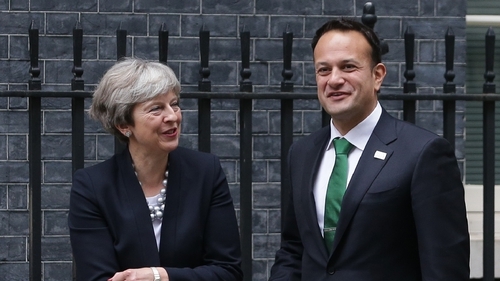 The Taoiseach has said he thinks Theresa May can deliver an orderly Brexit between now and 12 April. Speaking on RTÉ's The Week in Politics, Leo Varadkar said he should not interfere with internal politics in the UK, but said "whoever the prime minister is, we will work with that prime minister". He said that the Government has made sure that they have had good links, not just at Prime Minister/Taoiseach level. Mr Varadkar said the UK is now "consumed" by Brexit, and that they will spend the next two to three years consumed by what the future relationship will be be like. He said it is important now that Ireland is not consumed or defined by Brexit. When asked about the idea of rejoining the Commonwealth, he said it is "not something we've given any consideration to as a Government". Taoiseach also said that the idea is not on the agenda, "at the moment anyway". He said he believed that the institutions of the Good Friday Agreement, like the British Irish Intergovernmental Conference and the British Irish Council could be boosted and empowered, to continue Anglo Irish contacts. When discussing national politics, Mr Varadkar said that the "confidence and supply" arrangement with Fianna Fáil has "worked to an extent", but that he would "much prefer" to have a majority Government. However, he added that it is totally up to the people, who will decide when they go to the polls. On the National Broadband Plan, which will be made before Easter, Mr Varadkar said it had been put off because Government wanted to see where it stood financially in the wake of Brexit, but that Easter is now "what he's working towards". He said the plan will connect over one million people to fibre broadband, and described it as being "as significant as rural electrification", and "something I want to see done".